Search engine optimization that helps potential customers find their way to you is a crucial tool for your marketing strategy. SMART marketing won’t be effective if it isn’t seen. Keep your content relevant and reliable for the best results. 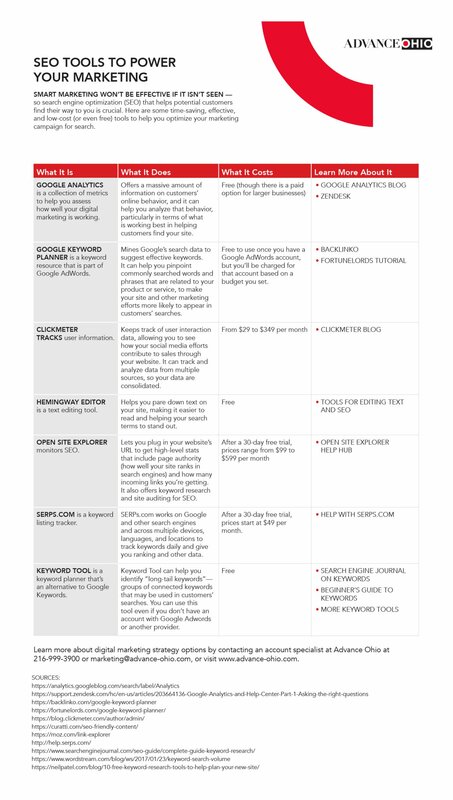 Here are some timesaving, effective, and low-cost tools to help you optimize your marketing campaign for search. Contact us to learn how SEO can help power your marketing campaign.